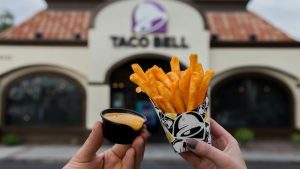 Taco Bell’s famous Nacho Fries are coming back, and you won’t have to wait much longer. The fast-food chain announced that their “most successful product launch to date” would return to menus on Thursday, January 24th. Even though the fries are an apparent big hit, the company has not made them a permanent addition. This time, like the others, will be a limited run. The fries are dusted with Mexican seasoning and served with a cup of nacho cheese dipping sauce.